Stunning Prewar Art Deco Condominium Two Bedroom, Two Bath now available in fantastic Cabrini Boulevard much loved condominium! 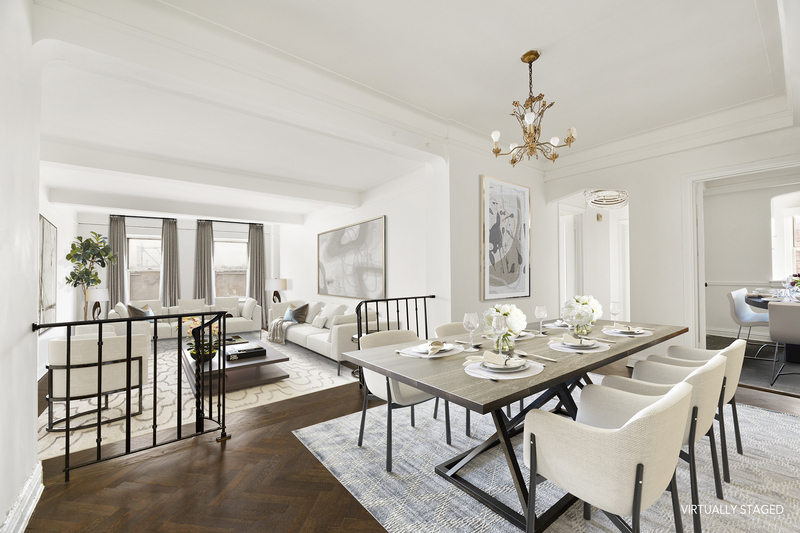 Featuring newly refinished herringbone floors, high beamed ceilings and wonderful light this home exudes charm and sophistication. There is a large entrance foyer, a gorgeous sunken living and a separate dining area off the spacious windowed eat-in kitchen. 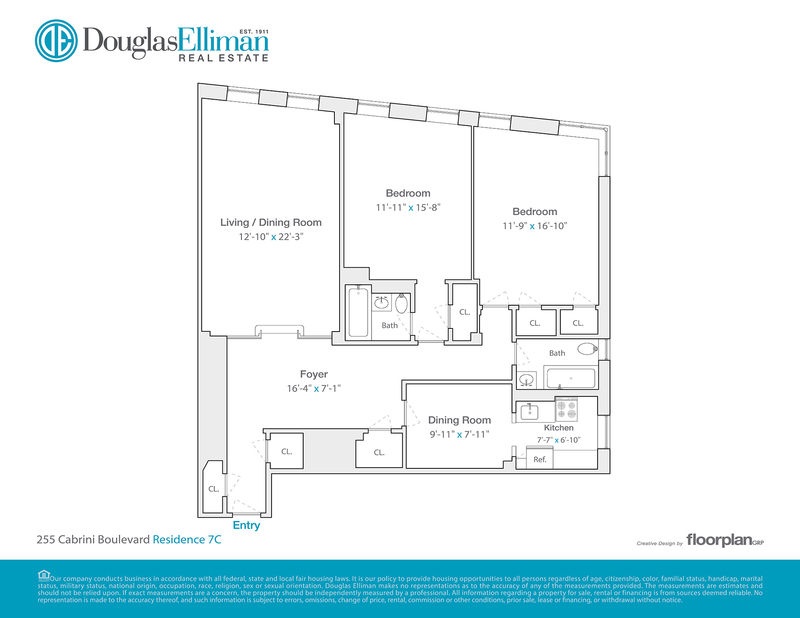 The large bedrooms are very well proportioned and provide a generous amount of storage and closet space. 255 Cabrini Boulevard is the only prewar condominium building in the residential area of Hudson Heights. This neighborhood is located on a plateau on top of a high bluff overlooking both the Hudson River on the west and the Broadway valley of Washington Heights on the east, and includes the highest natural point in Manhattan, located in Bennett Park. At the northern end of the neighborhood, where Cabrini Boulevard meets Fort Washington Avenue at Margaret Corbin Circle, is Fort Tryon Park, conceived by John D. Rockefeller Jr., designed by the Olmsted Brothers, and given to the city by Rockefeller in 1931. The park contains within it The Cloisters also conceived of by Rockefeller which houses the Medieval art collection of the Metropolitan Museum of Art. This vibrant neighborhood with its rich historical past is seeing a resurgence of new buyers as many see this special cul-de-sac as one of New York's best kept secrets. The Building has an attended lobby, a live-in super, laundry room, two elevators and is pet friendly. A nice break from the hustle of downtown, this serene neighborhood offers the majesty and beauty of Fort Tryon Park, the Cloisters as well as charming cafes, wonderful shops and biking trails with panoramic views of the Hudson. 255 Cabrini is just three short blocks from the A Express train at 181st Street. Private showings available upon request. There is a $348.41 assessment for the façade that ends 7/2024 and a $298.05 assessment for the elevator that begins January 1, 2019 for 30 mos.